After witnessing a brutal murder on Halloween night, a young woman becomes the next target of a maniacal entity. A woman is abducted by a sinister stranger on Halloween night for a fate worse than death. Cat Lady: Punctuality is the thief of time, dear. 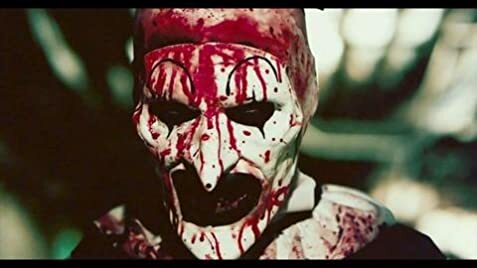 The overrated "Terrifier" is a horror film with a promising and funny beginning, with the alcoholic Dawn acting like a stupid and the clown accepting the silliness. Until the moment Tara and Dawn are abducted, the film works reasonably well. However, when Victoria drives to give a ride to her sister and Dawn, she hears that there is a serial killer in the area. But even being aware of the dangerous situation, she begins to take a series of very stupid e clichés attitudes culminating in the awful conclusion. My vote is four. 48 of 78 people found this review helpful. Was this review helpful to you?